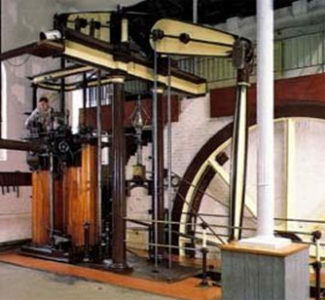 In the Steam Hall there are four large rotative steam pumping engines plus a number of smaller ancilliary engines. All these engines have been restored and re-erected at the museum by permanent staff and volunteers. In the rotative engine, the linear motion of the piston is converted into rotary motion by the crank. 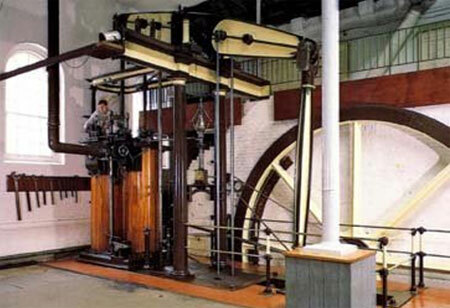 The use of both cranks and large flywheels balance out the varying thrusts and loads, thus allowing the engines to operate steadily and smoothly.